Outer is laminated Lauan, Beech, and Walnut. Inner is laminated Lauan and Walnut. Wide tail design (similar to Boston). 22 mm outer rim width, 38 mm inner rim width. 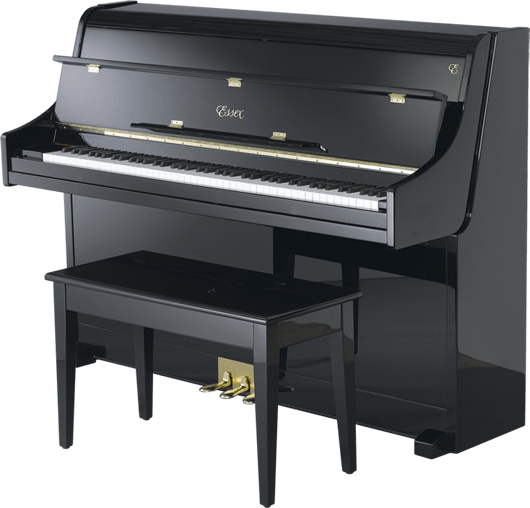 Designed by Steinway. Angled whippen heel. All wood (no plastic) for all moving parts. Like Boston: extruded aluminum action rails rosette shape on it. Slow-fall Fallboard available on most grand models. Fold-down Fallboard Lip available on most grand models.